Wrapped Bubble Gum and Small Gumballs for Sale! 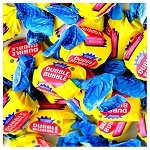 Our packaged small gumballs, wrapped twist bubble gum, sugarless gum and chewing gum products are guaranteed to be fresh. 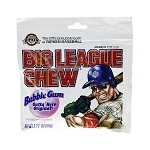 Try our delicious bubble gum products and taste the difference yourself! Regarding any of our candy and gumball products, once opened these items cannot be returned for any reason.